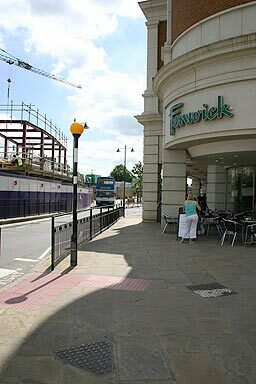 This rounded facade is Fenwicks (as you can see) and is the start of St. George's Lane. Actually the road line has moved south towards the city wall as part of the Whitefriars development. Originally there were some shops and buildings here. As we shall see things are not quite finished here, there is still some building work happening on the new shops along the frontage of the road.